DeSantis, who still hasn't revealed major policy stances, used the same attack themes, many of them distorted or false, that have been a staple of ads run on his behalf against Gillum by Republican Party organizations. Meeting and greeting Tampa Republicans Saturday, GOP candidate for Florida governor Ron DeSantis gave a speech devoted almost entirely to attacking and mischaracterizing his Democratic opponent, Andrew Gillum, saying little about his own plans or ideas for governing Florida. The event capped a day of campaigning in Central Florida for DeSantis, including a news conference with Puerto Rican backers in Orlando and a rally at The Villages retirement community. 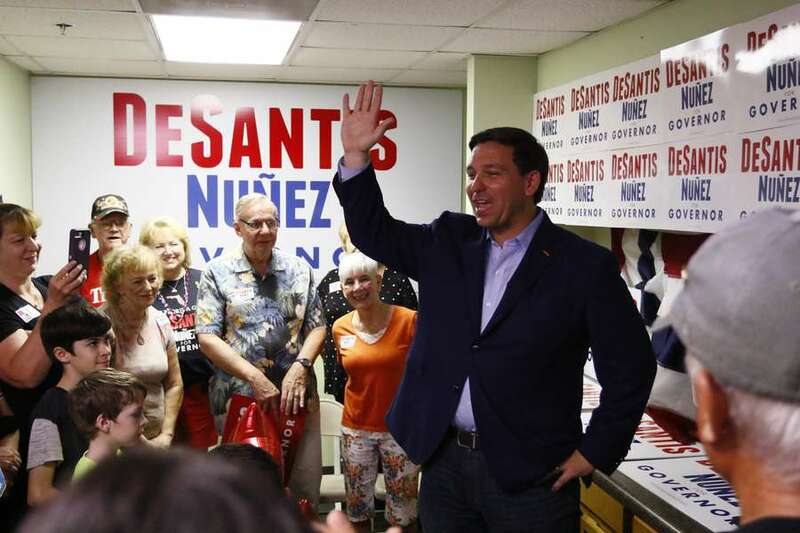 In Tampa, an enthusiastic crowd made up largely of grass-roots campaign workers crammed into a tiny GOP campaign office suite for an appearance by DeSantis, his wife Casey and Rep. Matt Gaetz, R-Fort Walton Beach. For about 20 minutes, they heard DeSantis launch one attack after another. DeSantis used the same attack themes, many of them distorted or false, that have been a staple of ads run on his behalf against Gillum by Republican Party organizations. He said Gillum is a socialist who's hostile to law enforcement, intends to take away people's Medicare and veterans' health benefits, has made Tallahassee "the most crime-ridden city in Florida," and plans "a 40 percent tax increase" for Florida. "I'm the only candidate (for governor) who can credibly say he's not under investigation by the FBI," he added, referring to an investigation of Tallahassee city government. In fact, there's no indication that Gillum is a target of the investigation, Politifact has reported. Gillum's proposed increase in the corporate income tax, from 5.5 to 7.5 percent, would apply to a small fraction of Florida businesses, most of which are exempt. And overall crime hit a five-year low in 2017 Tallahassee and has dropped further this year, despite a record number of murders in 2017. DeSantis said Gillum has adopted anti-law enforcement and anti-Israel positions of a leftist group called the Dream Defenders, which says money should be diverted from prisons and law enforcement into social welfare programs. Gillum has supported the group, formed after the Trayvon Martin shooting, but both he and the organization say he differs from many of their positions. DeSantis heavily emphasized attacks on Gillum's support for "Medicare for all" proposals popular with some Democrats. Under such a plan, he said, recipients of Medicare and the military's TRICARE health care program would "get dumped on a single-payer (system)," which would "force them on a government plan." Medicare and TRICARE are both government health plans involving a single payer – the federal government – plus participant co-pays and taxes. The most prominent "Medicare for all" proposal, by former presidential candidate Bernie Sanders, would expand Medicare benefits. DeSantis hasn't published a detailed health care plan of his own. Asked about his ideas, he took another shot at Gillum. "I will fight taking away people's employer-provided plans," he said. "People are earning these benefits. 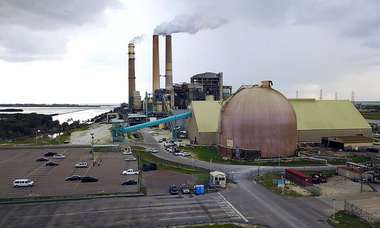 (Gillum) wants to take those away and he wants to dump them on a government plan against their will." "The approach has got to be recognizing that the costs have been out of control. I want to do right-to-shop, right-to-know, right-to-buy," he said. "We need the incentives to be for the costs to go down." Closing his speech, DeSantis touted one of the top reasons behind his candidacy: "In the words of the big guy at 1600 Pennsylvania Avenue – remember Ron DeSantis, a great leader, proud veteran, a tough brilliant cookie who'd make a great governor of Florida."